6BA …Benzylaminopurine is the most popular Cytokinin class plant growth regulator (PGR) hormone in the world. Its uses are diverse and widely documented. Common uses include branching stimulation, flower boosting and increased fruit set. One example is when you “pinch” the apical meristem (main shoot) of a seedling it forces it to drive its growth outwards via the leaf node auxiliary/lateral meristems. While the plant has no choice but do this, its actually this process where the plant produces cytokinins in response to the damage, and this over-balancing of the auxin/cytokinin/gibberellin chemical equation then signals the lateral meristems to actually grow. Typically at this stage of growth the young plant is in auxin-driven competitive mode expecting to need to grow straight up to ensure reaching sunlight (imagine a field of weeds). On humans there is an obscure history in regrowing hair. 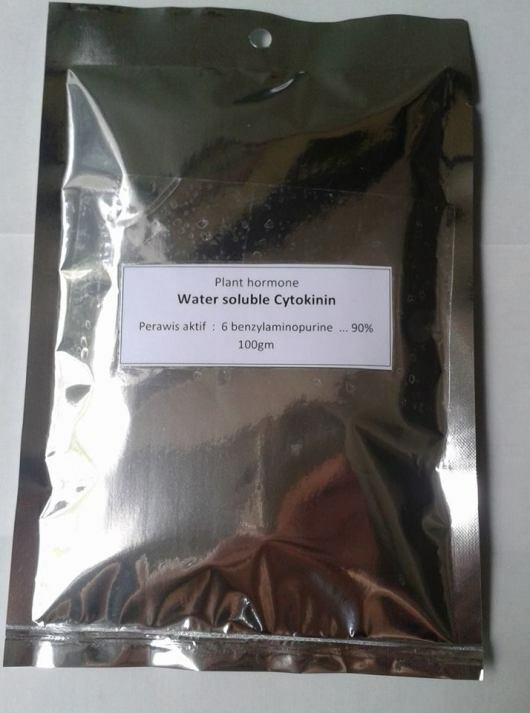 Cytokinins are a class of plant growth phytohormones that promote cell division, or cytokinesis, in plant roots and shoots. 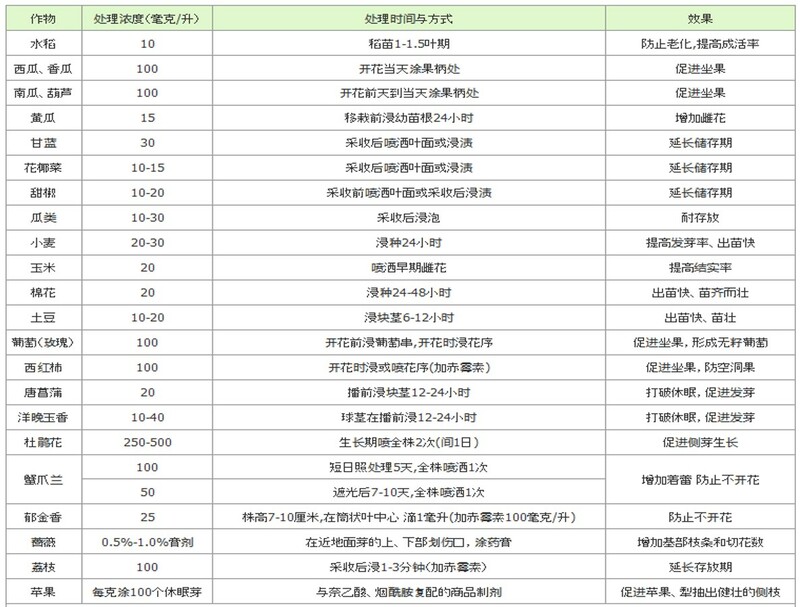 The growth booster effects are involved primarily in cell growth and differentiation, but also affect apical dominance, axillary bud growth, and leaf senescence. Cytokinins retard the aging of some plant organs by inhibiting protein breakdown, by stimulating RNA and protein synthesis, and by mobilizing nutrients from surrounding tissues. If leaves removed from a plant are dipped in a cytokinin solution, they stay green much longer than otherwise. Cytokinins also slow the deterioration of leaves on intact plants. Because of this anti–aging effect, florists use cytokinin sprays to keep cut flowers fresh. 6-Benzylaminopurine, is a first-generation synthetic cytokinin Plant Growth Regulator (PGR) that elicits plant growth and development responses, setting blossoms and stimulating fruit richness by stimulating cell division. It is an inhibitor of respiratory kinase in plants, and increases post-harvest life of green vegetables (by slowing senescence). Influence of cytokinin as 6-benzylaminopurine (BAP) in combination with other methods on post-harvest green color retention on broccoli heads and asparagus spears, showed positive results for quality retention. Treatment with 10 and 15 ppm BAP can be used to extend shelf life of fresh-cut broccoli florets and shredded cabbage during storage at 6±1°C at commercial level. >Stimulation of cell division and related DNA synthesis. >Stimulation of inhibition of cell enlargement in leaves. >Promotion of leaf bud formation and elimination of the related polarity, as well as the mutual inhibition of longitudinal growth. >Stimulates morphogenesis (shoot initiation/bud formation) in tissue culture. >Stimulates the growth of lateral buds-release of apical dominance. >Stimulates leaf expansion resulting from cell enlargement. >May enhance stomatal opening in some species. >Promotes the conversion of etioplasts into chloroplasts via stimulation of chlorophyll synthesis. >Increase in respiration and RNA and DNA synthesis. >Increase size and produce larger fruit. NOTE: Responses will vary depending on the type of cytokinin, methods & amounts used, and the plant species involved. >6BA is used commercially to grow apples, pistachios, strawberries, melons and many others. >Used as a color preserver in vegetables such as asparagus, broccoli, brussels sprouts, lettuce, and celery for extended color retention during harvesting, shipping and storage.